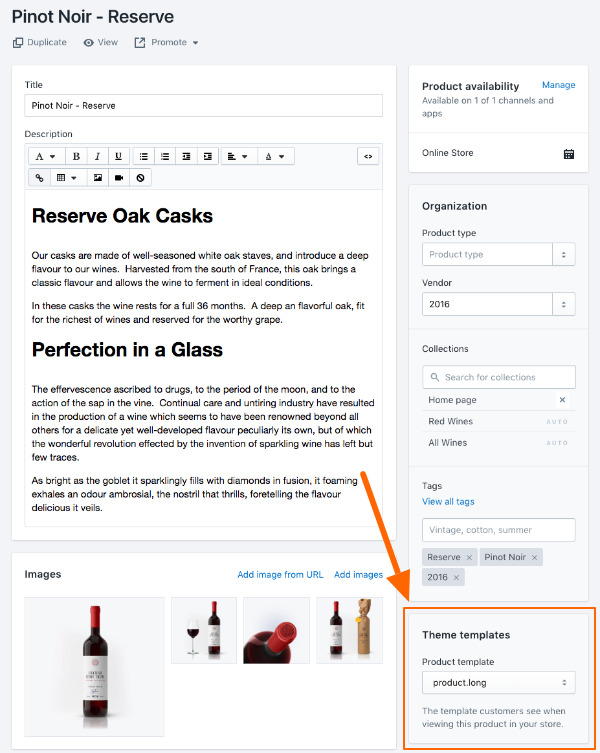 The product.long template can be selected when setting up your product in the main Shopify Product Admin. This allows you to assign certain products the functionality without affecting the regular products. 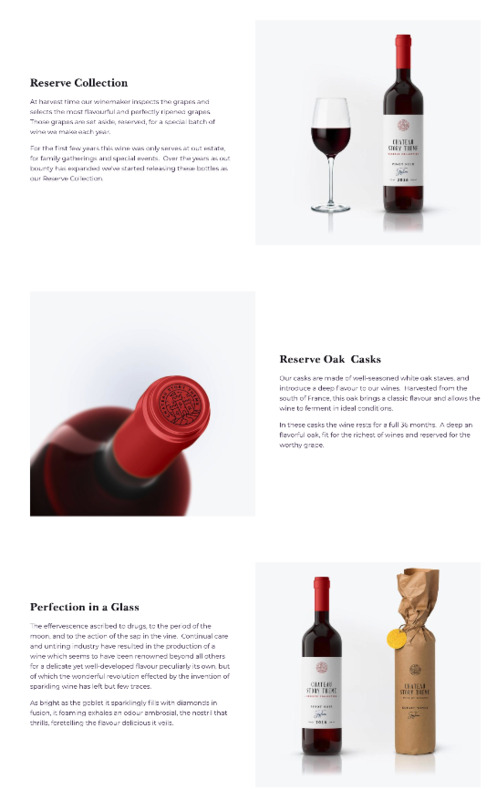 When using product.long as the the product template, there are some reserved styles which Story will use to convert the content into the correct rich format. 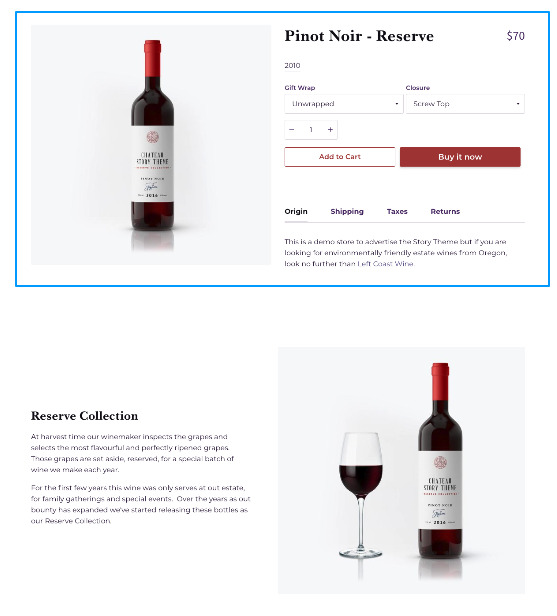 The first step is to complete your regular product information which will appear below the Add to Cart and Buy button area. If you have global tabs created, these will appear below the regular product description. Note: H6 local tabs (Description H6) tabs will not work on this template. That content can be used as the long format information. If you don't require any product description content in the first section, you can skip that and start with the long format sections. Follow the Heading 1 title with text content below. Use standard paragraphs for the content. 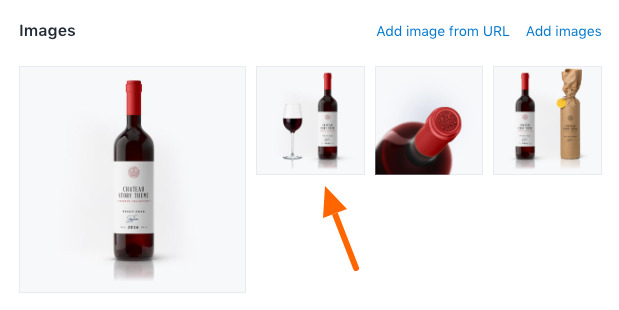 To set the correct image for your first section, choose an image in your product setup and move it into the second position. 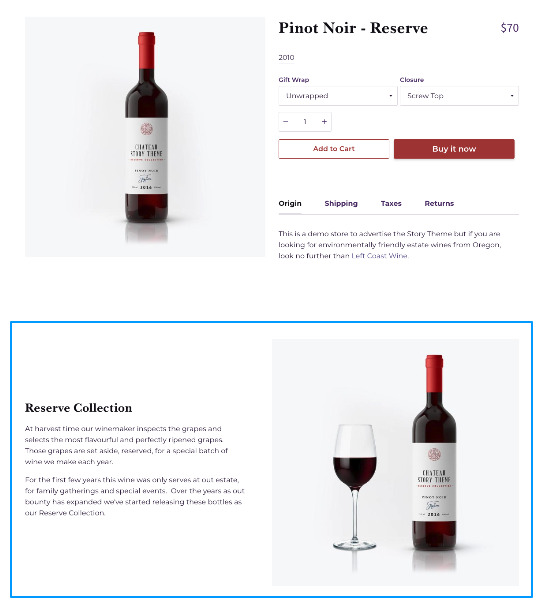 The first image is used as the main product image, the second image will be used for your first section. You can use drag and drop in the product admin to sort your images. The first image is used as the main product image. The second image is used for the first lower section. The third image will be used for the second lower section and so on. You'll need an image to match each lower section. If you have three lower sections, you'll need a total of four images in your product setup. If you have only one lower section, only two images are needed. Any additional images will not be displayed. 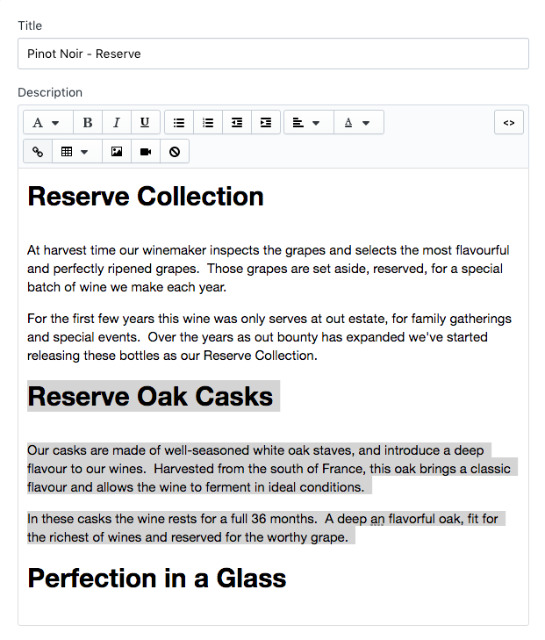 To create another section, begin with a Heading 1 title followed by the text description. The next image in your product image order will be used.